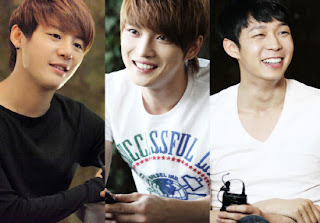 JYJ will be holding its first large-scale exposition for fans in June. The four-day long event will include a large-scale fan meeting, JYJ exhibition and other events to allow fans to see, hear and experience everything JYJ. Other planned events include a JYJ photo exhibition, a special food-zone selected by JYJ, and even recreational equipment. C-Jes has been operating a fan-oriented membership system for fans in Korea and launched another membership system for fans in Japan. The June event is expected to bring in some 15,000 fans from Korea and Japan. For fans in Japan, C-Jes will provide a special travel package which includes a discount on airline tickets, lodging and other services. The fan meeting event for holders of JYJ fanclub membership in Korea and Japan will be completely free.